The Retro Table & Chairs designed by M.Marconato & T.Zappa. Spotted at Porada. The Egos Table & Chairs designed by G.Carollo. Spotted at Porada. Created by Carl Muller & Rick Lee these tables from Elite Manufacturing Corporation. The Coral Table by Andrea Lucatello for Cattelan Italia. 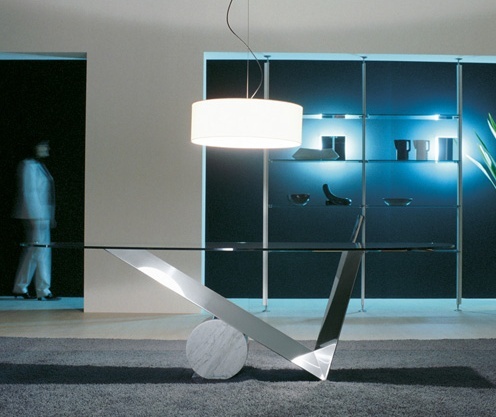 The Valentinox Table by Emanuele Zenere. Spotted at Cattelan Italia.